Launch of the 2nd Afterschool at Youghal GAA. 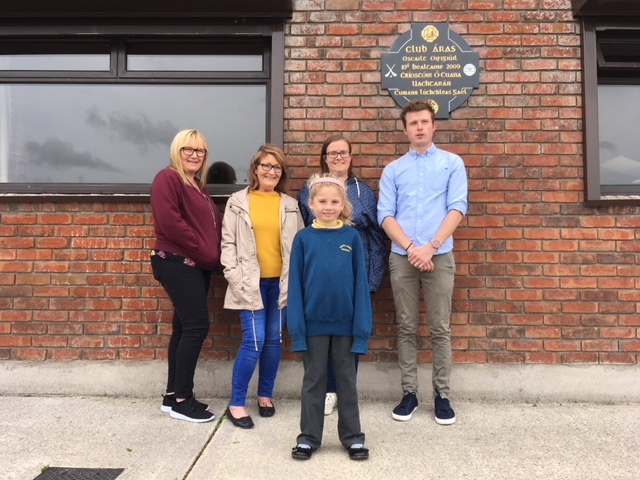 Back row l-r Linda O’Brien, Tutor; Mary Daly Whyte, Chair YRN; Lucy Renard, Afterschool Assistant; Eoghan Kinery, Tutor. Front row: first student Seersha. 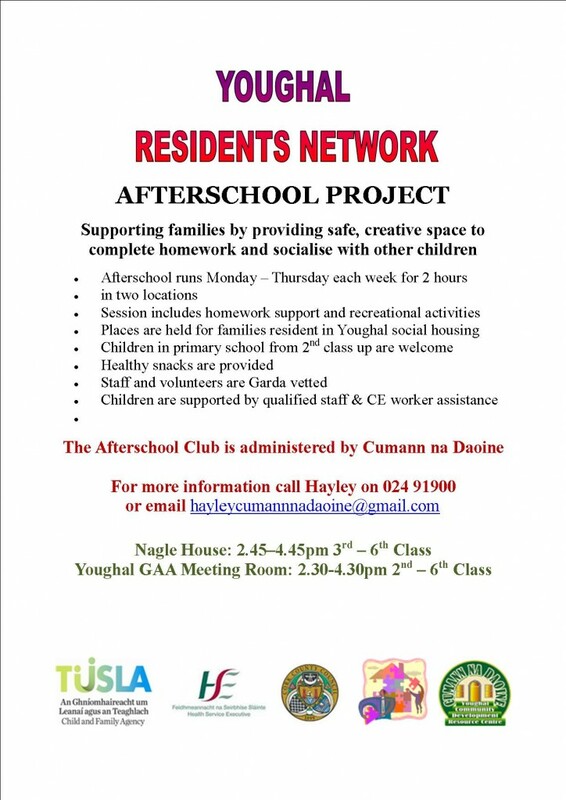 Youghal Residents Network recently opened a second Afterschool service at Youghal GAA Meeting Room. This service compliments the existing service running at Nagle House, which has provided homework and social support for children since 2006. Thanks to an exceptional grant from Tusla: Child & Family Agency, there are now more places available to give primary school children this much-needed support. The new service can also take children from 2nd – 6th class, while Nagle House caters for children from 3rd – 6th class. The new service was launched on Wednesday 18th September at Youghal GAA Club. For more information, please call Hayley Fox-Roberts, Local Community Development Worker, on 087 9890336 or at hayleycumannnadaoine@gmail.com.